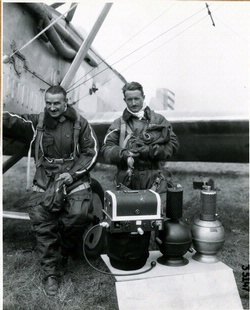 Stevens' and Anderson's world altitude record stood for 20 years. 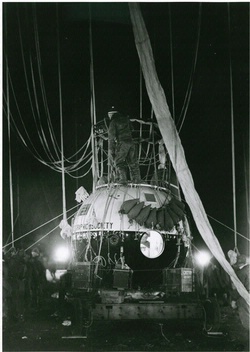 In this pressurized balloon gondola, on November 11, 1935, Capt. Albert Stevens and Capt. Orvil Anderson of the U.S. Army Air Corps reached 22,065 meters (72,395 feet), a world altitude record that would stand for 20 years. 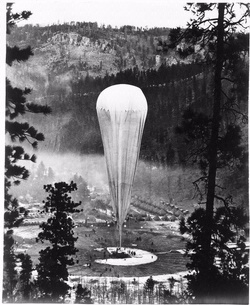 The Explorer II balloon boasted a capacity of 104,772 cubic meters (3,700,000 cubic feet) of helium. 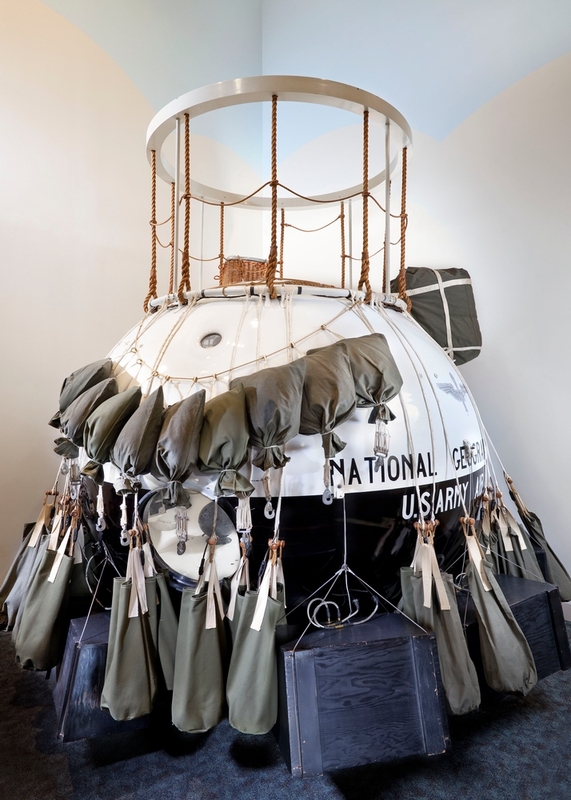 The 3-meter (9-foot) spherical gondola is made of welded magnesium/aluminum alloy sections, weighs 290 kilograms (640 pounds), and can carry a payload of 680 kilograms (1,500 pounds). Find out more about Explorer II.